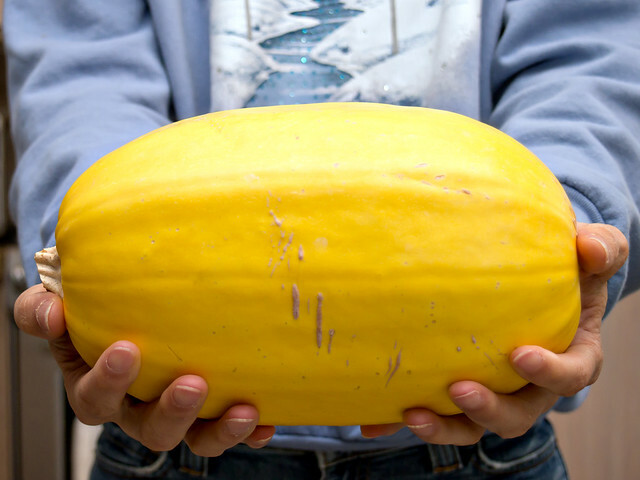 Why spaghetti squash you ask? 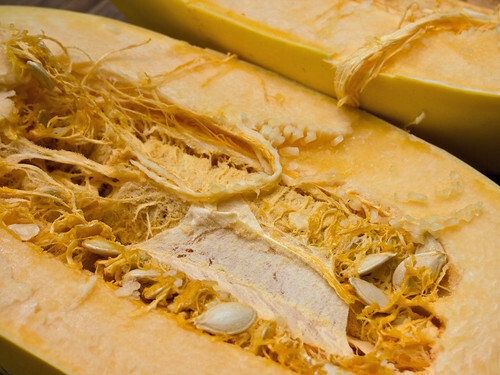 Spaghetti squash has a lot less carbs and sugar content than pumpkin so it's more healthy for you. I made a few updates to the original recipe including making a gluten free crust. The original recipe does not call for making a crust at all but I like my pie crust. This is the first time I've tried making a gluten free pie crust and I thought it turned out pretty well. Be warned, if you don't get the texture of the dough just right it is very difficult to roll out. Mine was a little too wet and I had to keep adding some flour to it while I rolled it out. The pie recipe below makes enough for one pie while the crust recipe makes enough for two crusts. One spaghetti squash should be enough for two pies so what I did was just made two batches of the pie filling. While the first pie was cooking I rolled out the dough and kept it in the fridge until the first pie was done. By the time I finished the second batch of pie filling and cleaned up the mess I made the first pie was done. I took the crust out of the fridge, filled it and put it in the oven to bake. Instead of topping it with whipped cream you can try this fake cream recipe made with eggs, beef gelatin, butter and sweetened with stevia. It's much healthier than whipped cream. It's not bad tasting either but the texture is a little weird. Add to prepared pie crust (see gf crust recipe below) or a greased glass pie pan. combine dry ingredients in medium bowl. 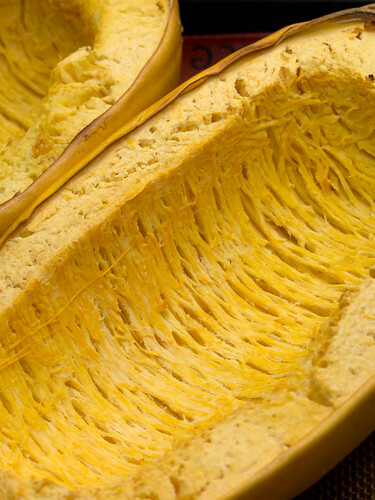 Cut in butter with pastry blender or two knives until mixture is crumbly. Form well in center. Add egg and vinegar; stir gently with a fork until just blended. Sprinkle with water; blend together with a fork and clean hands until mixture just holds together and forms a ball. (Don't add too much water as dough will be hard to roll). Shape dough into ball and divide in half. Cover one half with plastic wrap; set aside. Place remaining half on lightly floured sheet of wax paper. Flatten dough with hand and dust top with flour and cover with additional piece of wax paper. Roll out dough to 1/8 inch thickness. 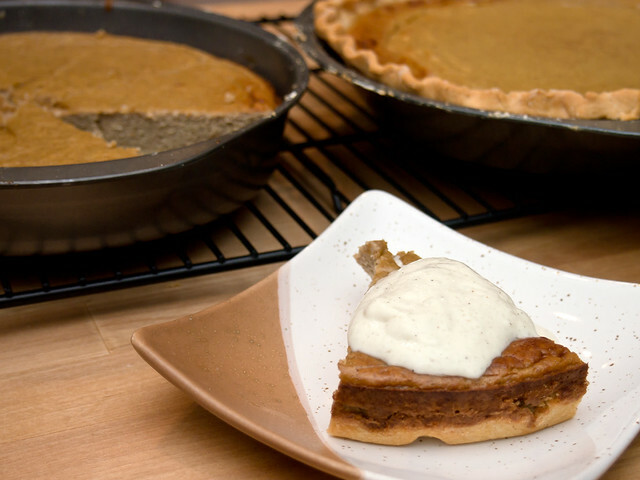 Remove top sheet of wax paper and invert dough into 9-inch deep-dish pie plate. Slowly peel away wax paper. Trim excess crust. Turn edge under; crimp as desired.